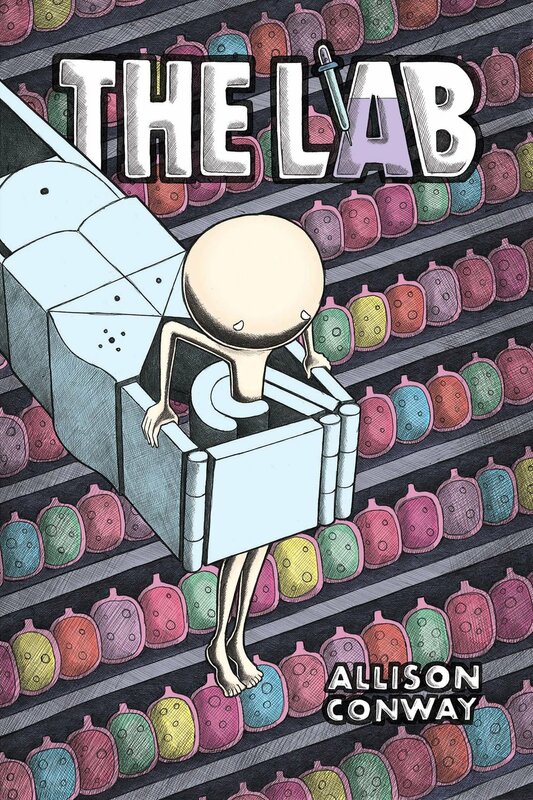 The Lab is a 176 paged wordless graphic novel that I started writing in a comics class while I was studying illustration at SCAD. I have always been fascinated by what humans are capable of on this earth. This book is an exploration of my emotions about when humans exploit humans and animals. It is illustrated with ballpoint pen and digital coloring. It is being published by Top Shelf Productions and will be available in February of next year! Check it out on the Top Shelf Catalog HERE. Painstakingly and evocatively rendered, Allison Conway’s debut graphic novel explores the spectrum between lifeless gray and vivid color. It asks uncomfortable questions about the treatment we tolerate and the injustices underlying our modern world.